Provides a wide range of studies based on a solid foundation. From idea to design to drawing and construction. Selection of multiple study programmes. Preparation for postgraduate studies at university level or vocational training leading to certification. 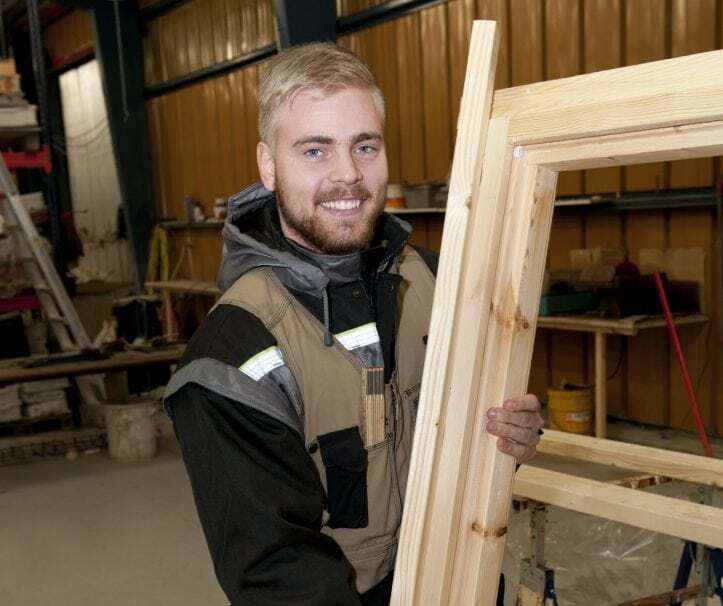 The School of Building and Construction Trades has five vocati­onal study programmes as well as technical drawing. All stu­dents start by taking one semester of preparatory courses that are joint for all building and construction study programmes. After that, the school offers a choice of five vocati­onal study programmes where each programme is 108 credits and takes an average of six semesters in school. They are divided into general courses, specialized courses and specialized elective courses. In this programme students will gain insight, know­ledge and skills to conduct all construction work in the construction industry. Students learn met­hods that provide them with the skills and know­ledge to work independ­ently in the field. The emp­hasis is on design and mater­ials technology. As a final project, the stu­dents design, draw and make an object such as a chair or a cabinet. Students learn to distinguish different materials and construction methods and how to take them into consideration when conducting repairs or realizing their own designs. A large part of the programme is devoted to practical training where the stu­dents learn to paint houses and various kinds of decorative painting techniques. The main obj­ective of the programme is to provide stu­dents with the und­er­st­anding, know­ledge and skills to work with heating, consumer water and sewage systems as well as various other specialized systems in build­ings and struct­ures. Systems for water and geot­hermal distri­bution and the installation tools, equipment and controls required for running and maintaining these systems. The stu­dents learn to plaster build­ings and learn various types of brickwork and tiling techniques. Stu­dents are trained in the use of flooring mater­ials, tiling, carpet laying and other related jobs. In addition to practical training, the stu­dents learn mater­ials technology, technical drawing and various general subj­ects. The last part of the study programme is an app­renticeship with a master craftsman of the trade. The programme and app­renticeship take a total of four years to complete. Stu­dents learn to make specialized draw­ings and handle the fin­is­hing and technical supervision of draw­ings and related data for architecture, engineering, and manufacturing. Other areas of study include the administration of drawing systems, graphic design and presentation of data, management of filing systems and various specialized drafting and office jobs. Joining us to study in the construction trades is a great choice. The many specialized fields we offer training in give students certification in their chosen trade and multiple options for further studies at the university level.